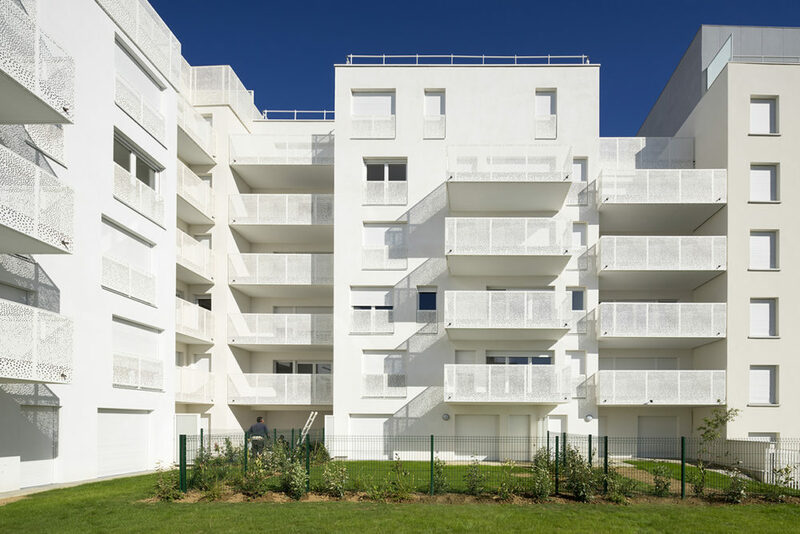 Called “Nuances”, this residence located in the centre of the block on Avenue du Maréchal De Lattre de Tassigny (seven kilometres from Paris) forms part of a district undergoing considerable change (shops, offi ces, sports amenities, college and high school, access to regional express RER C stations). By 2020, it will also see the opening of the future tramway linking Paris-Porte de Choisy to Orly Ville. A call for promoters to make a financial proposal concerning property charges was launched by the developer SADEV 94 which chose the proposal made by OGIC and presentedAgence Bruno Rollet. It was the first time that this client had worked with this architect. The site lies below a high voltage line. The programme’s budget envelope of €1,250 per m² is tight and the developer wanted as few housing units with single orientations as possible. A well thought out layout on the site was needed to meet this requirement. 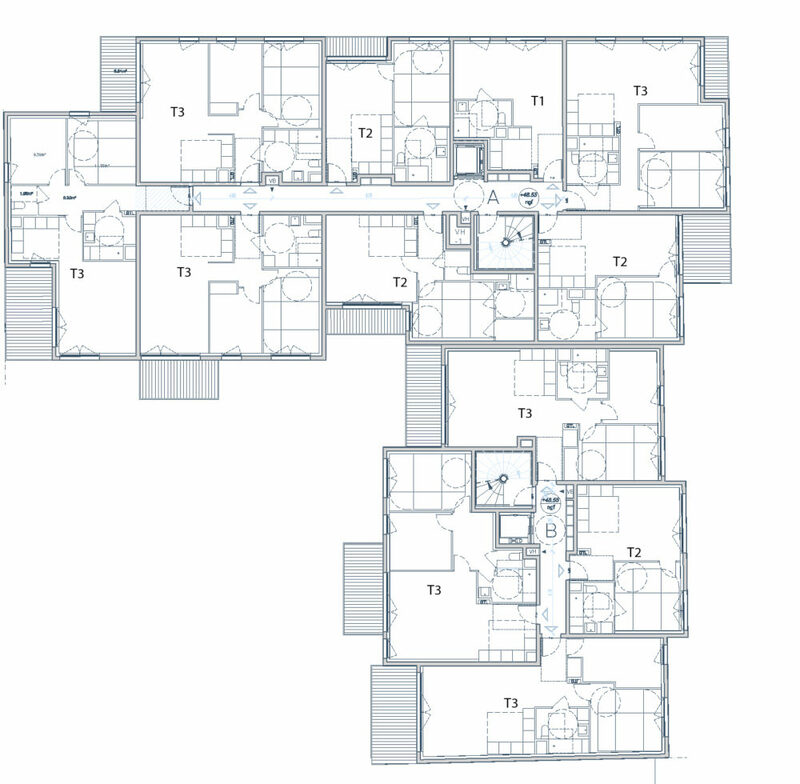 The dense and compact “Nuances” residence provides 66 home ownership units ranging from studios to five room apartments. The initial idea was to break down the building in three volumes distinguished by their plan, section and shade was to build two buildings over two basement levels (67 parking places) surrounded by gardens. Agence Bruno decided to break down the L-shaped site into three separate volumes differing from one another through the colours of the façades which use three shades of white. The project concentrates on the set-backs of the roofs, the incorporation of generously sized balconies, private gardens on ground floor level and the orientations of the apartments. 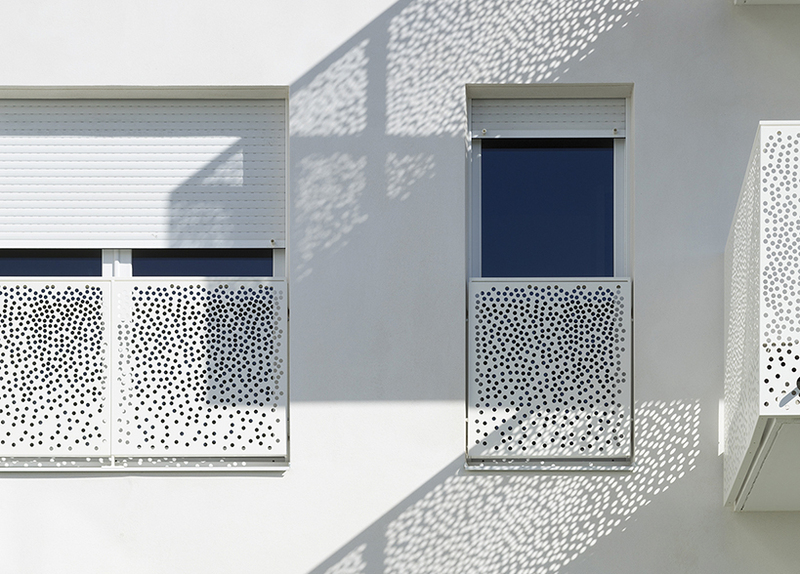 Although simple in appearance, the programme stands out through its use of perforated sheetmetal balustrades and floated façade renders.